Archipelago Cinema, an auditorium raft designed to float on the sea, premiered at the inaugural edition of the Film on the Rocks Yao Noi Festival, curated by Apichatpong Weerasethakul and Tilda Swinton The Festival, which took place from 9th-12th March 2012, is set to become an annual meeting place for art and film. 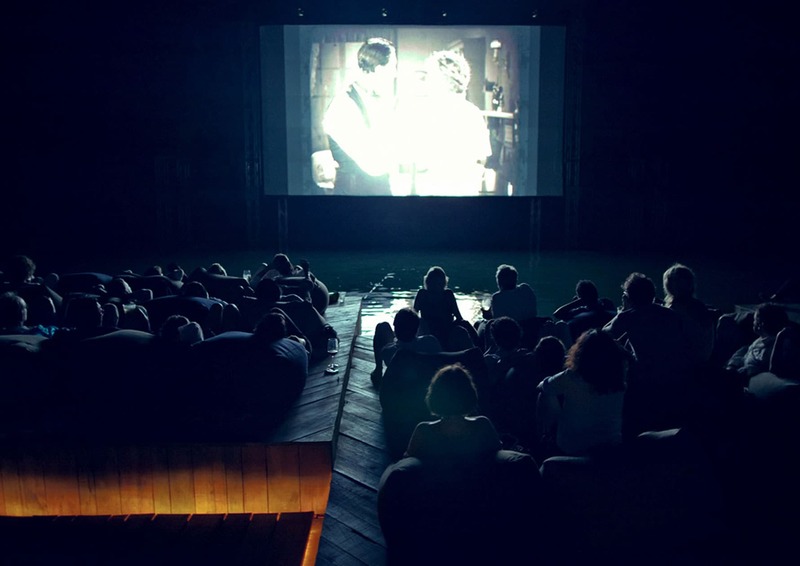 A work with a strong connection to the local community, Archipelago Cinema is based on the techniques used by fishermen to construct floating lobster farms. 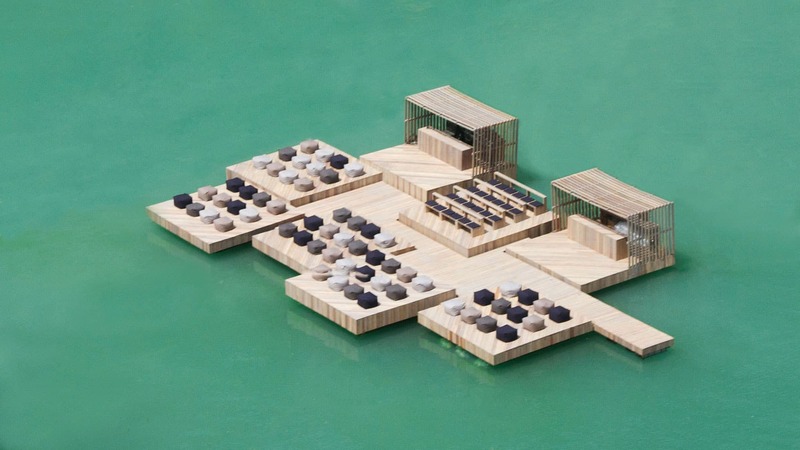 The raft is built out of recycled materials as a series of individual modules to allow for flexibility for its future use. 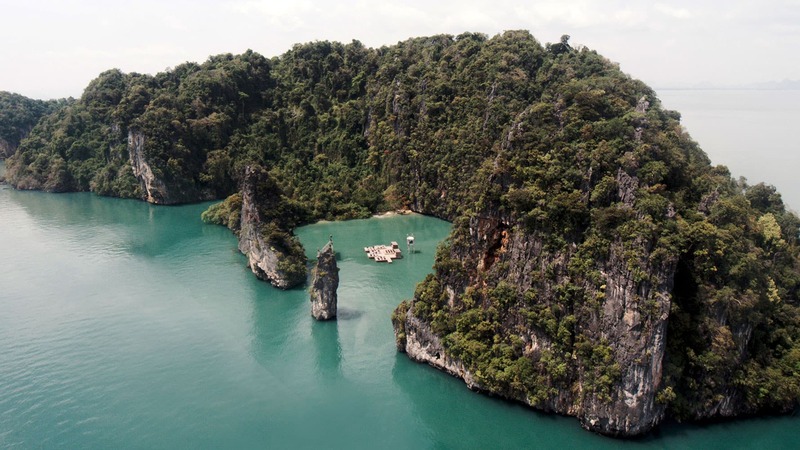 Subsequent to a journey which will see the raft travel to further places as an auditorium for other film screenings on water, it will eventually return to the island and be donated to its actual builders, the community of Yao Noi, as its own playground and stage in the ocean. 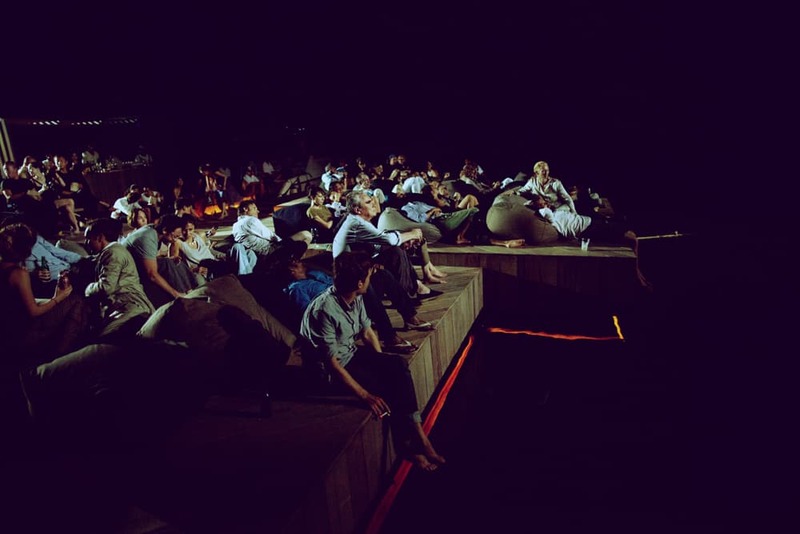 Archipelago Cinema is a collaboration between the Film on the Rocks Yao Noi Foundation and Ole Scheeren. With Archipelago Cinema, Ole Scheeren further explores his continued interest in non-architectural projects and interventions, and in creating alternative scenarios and realities by combining an ability to comprehend diverse yet specific contexts with the power of imagination and fantasy. Previous projects by Ole Scheeren which transcend the boundaries of architectural production include, among others, the Marfa Drive-In (a drive-in cinema in the desert of Texas), and the exhibition Cities on the Move, which Ole Scheeren co-curated and scenographed in Bangkok in 1999.